The 2015 Consumer Views of Email Marketing research is based on a survey of more than 1,800 U.S. consumers between the ages of 18 and 64. The research suggests that email marketing is more important now than ever before for retailer trying to reach consumers for in-store and online sales. The lion’s share (98 percent) of consumers in the survey said they were influenced by a marketing email to make a purchase. Furthermore, three out of four (78%) have made a purchase at least once a month based on an email campaign they received. The report also dispels some previously held beliefs about email marketing. It was once though that people used separate email accounts for marketing emails and rarely checked those boxes. 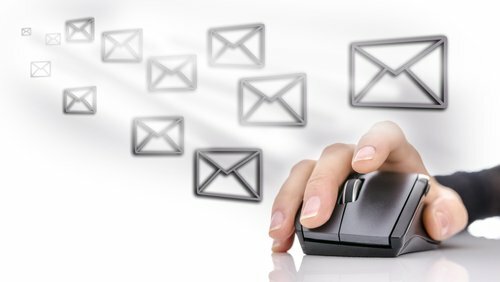 The study found that seven out of 10 respondents (71%) do not use a separate email address for marketing and advertising emails, which indicates they opt-in to promotional emails with an actively-maintained email account. This doesn’t negate the effect of the automatic filtering by Gmail and other email clients. Similarly, time-of-day testing may be less of a priority for marketers than in past years. The researchers found that one in three (34%) of respondents report that, regardless of device, they continuously check email throughout the day. However, business owners should keep in mind the value of presenting information to their target audience at the times they are most able to act on the email. Sending an email about lunch time specials at 9 p.m. is far less effective than sending it at 10:30 a.m., right before lunch. The researchers also found considerable evidence that shows consumers have grown to expect personalization from their emails from larger retailers. This goes beyond standard items like name and other form elements. According to the survey, consumers’ standard expectation is that brands will personalize marketing emails based on their past purchases, which was cited by 75 percent of respondents and an 71 percent wanted to see personalization based on interests. Integrating these kinds of elements into an email marketing campaign requires work on the backend of the retail website and on the email marketing client, but the effort can pay off with higher conversion rates. Finally, the study had some information about the way email marketing connects with mobile marketing and social media marketing. Email marketing is a good way to reach people on their mobile devices, but this may not necessarily translate into sales. The researchers found that consumers continue to be slow to embrace mobile purchasing. About half of the survey respondents stated they are simply more comfortable purchasing from a desktop or laptop computer. For social media, nearly one-third of those surveyed are likely to follow a brand on social media, and therefore see marketing messages via multiple channels. This is a good reason to use social media and email marketing together to reinforce a message. This is inline with research, covered in another article on this site, that showed using email marketing and Facebook ads together greatly increased the conversion rates for campaigns. For more recent reseach one email marketing, read this article on a study from Yahoo on how men and women use email differently.